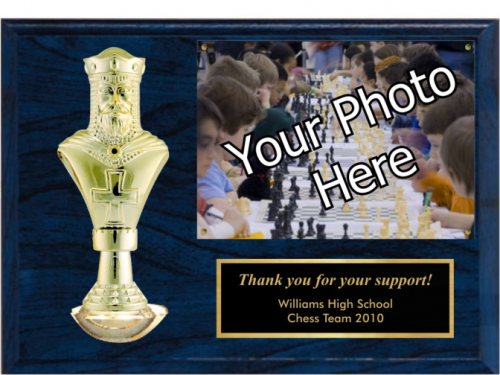 Our Large Billboard Plaque offers the qualities of both a plaque with generous engaving space and a classic trophy. 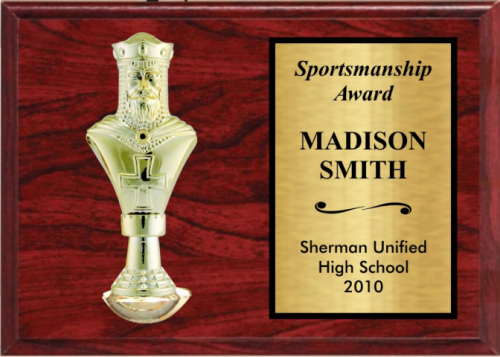 We offer a huge selection of figures for any sports or academic events, plus a insert on the plaque for further customizing your award. 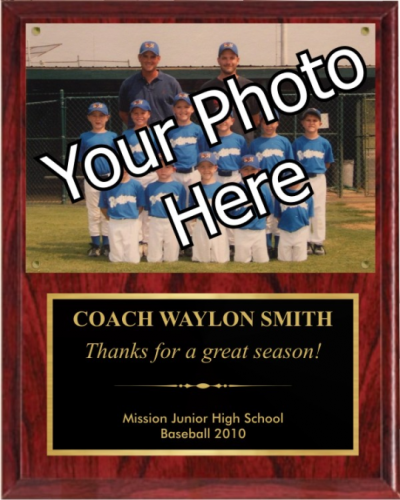 You can even upload your custom logo/mascot/art. 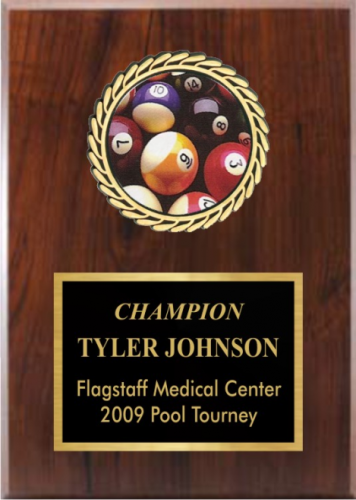 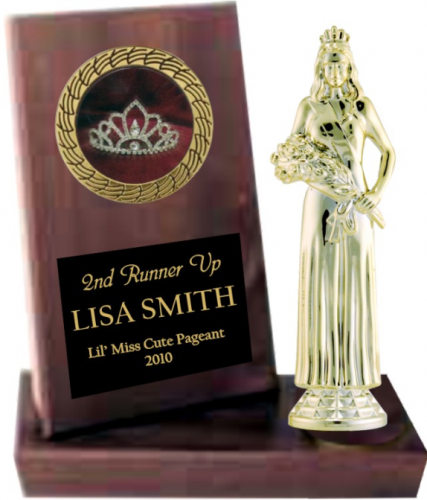 Our Small Billboard Plaque offers the qualities of both a plaque with generous engaving space and a classic trophy. 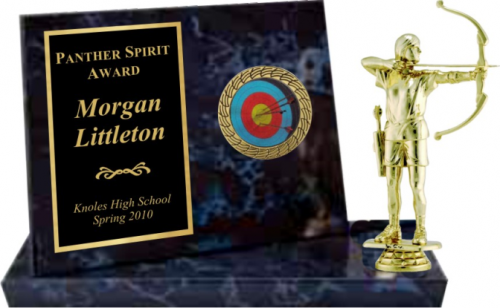 We offer a huge selection of figures for any sports or academic events, plus a insert on the plaque for further customizing your award. 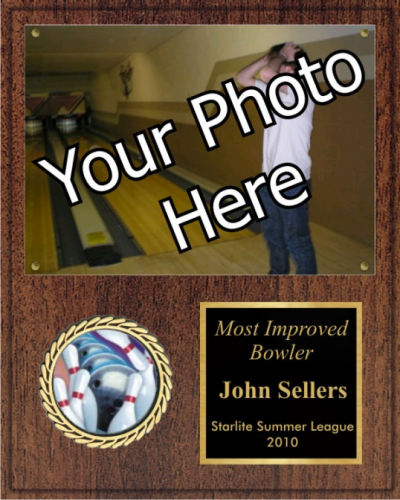 You can even upload your custom logo/mascot/art. 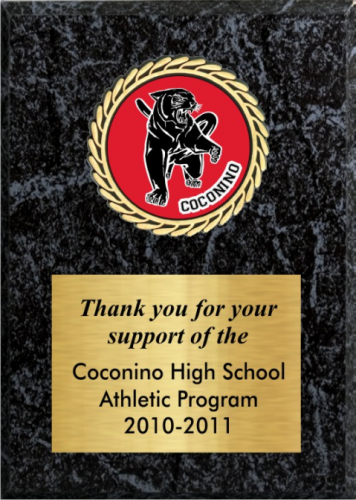 Our Activity Plaque With Sculptured Relief allows you to choose from a very large selection of activities from sports to academics. 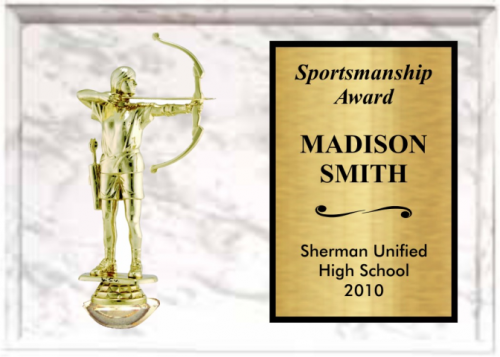 Activity Plaque With Sculptured Relief 6" x 8"
Activity Plaque With Sculptured Relief 7" x 9"
Activity Plaque With Sculptured Relief 8" x 10"
Activity Plaque With Sculptured Relief 9" x 12"
Our Classic Figure Plaque allows you to choose from a very large selection of activities from sports to academics. 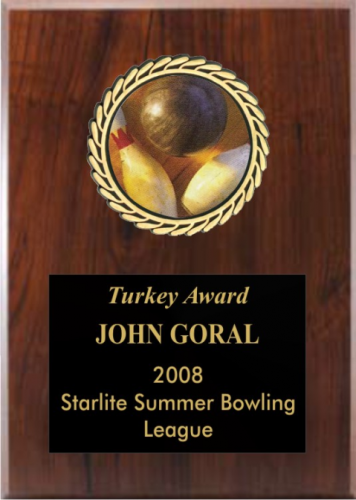 We mount one of our award figures onto the plaque. 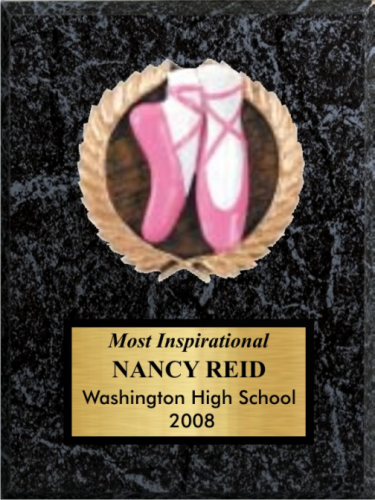 Classic Figure Plaque 7" x 9"
Classic Figure Plaque 8" x 10"
Classic Figure Plaque 9" x 12"
Our Classic Insert Plaque allows you to choose from a very large selection of activities from sports to academics. 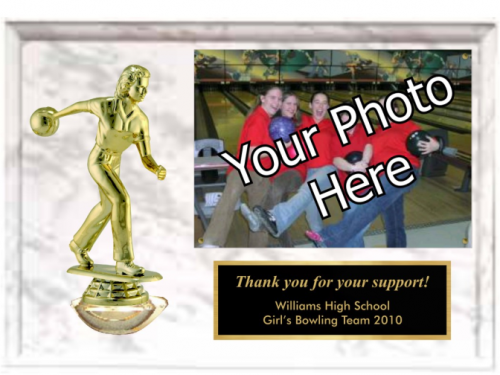 You can even upload your custom logo, mascot, or art, and we will incorporate it into the plaque. 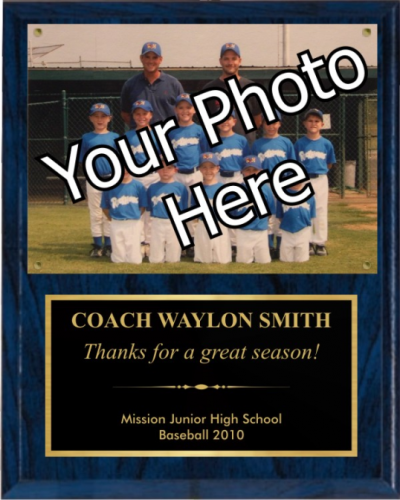 Classic Insert Plaque 5" x 7"
Classic Insert Plaque 6" x 8"
Classic Insert Plaque 7" x 9"
Classic Insert Plaque 8" x 10"
Our Medallion Insert Plaque allows you to choose from a very large selection of activities from sports to academics. 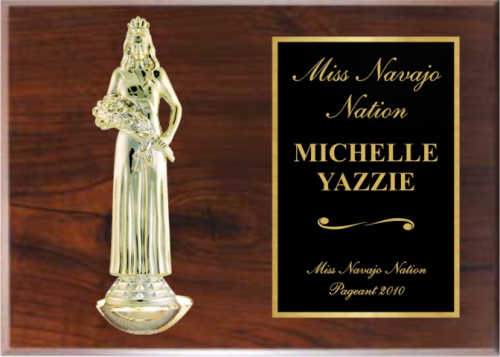 We mount one of our high relief medallions onto the plaque to give youu will be look and feel of an award you will be proud to present. 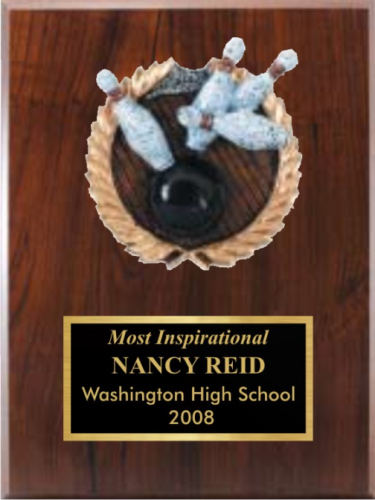 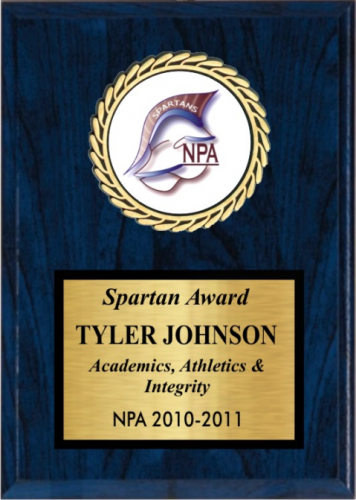 Medallion Insert Plaque 5" x 7"
Medallion Insert Plaque 6" x 8"
Medallion Insert Plaque 7" x 9"
Medallion Insert Plaque 8" x 10"
Medallion Insert Plaque 9" x 12"
Simulated Woodgrain or Marble Plaque With 5 x 7 Photo Cover To Be Attached.. Add either a sports or academic theme insert or upload your own logo/mascot. 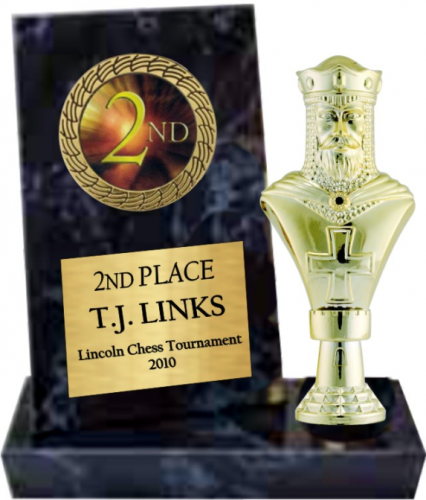 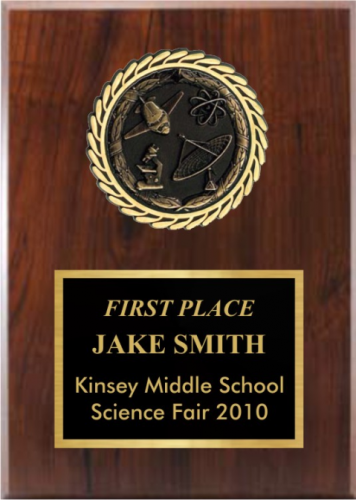 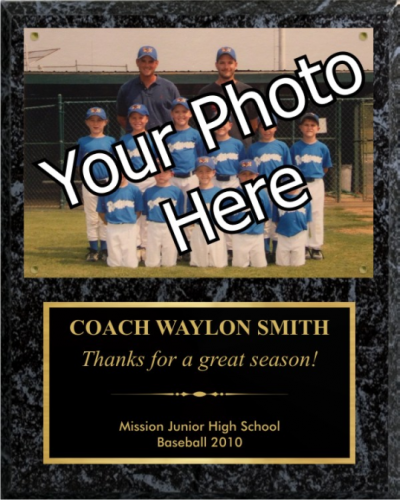 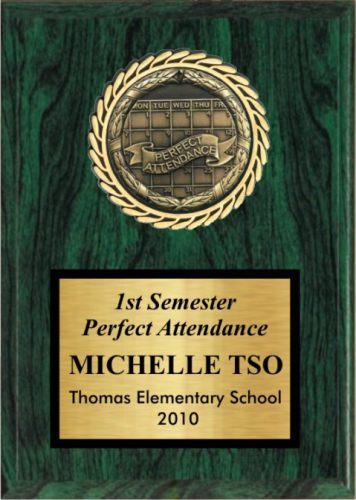 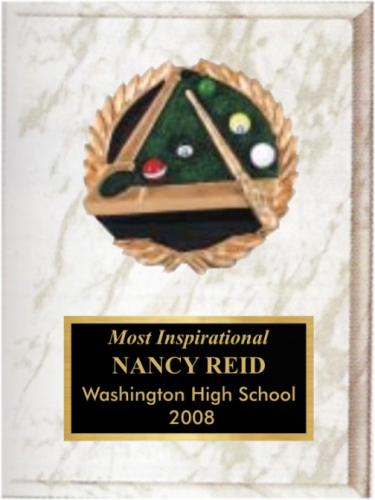 Our Valurite Insert Plaque is our most economical sports/academics plaque. 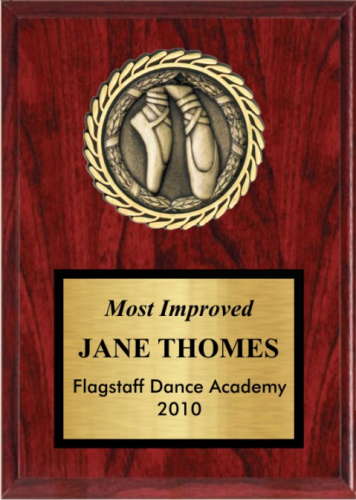 It allows you to choose from a very large selection of activities from sports to academics. 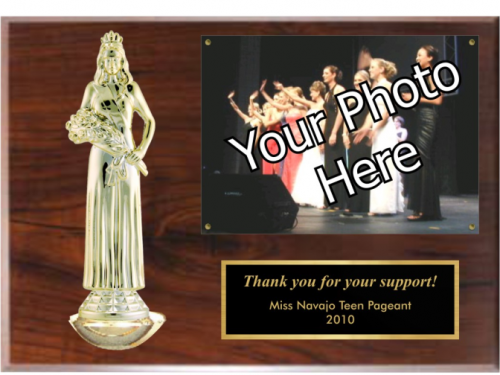 You can even upload your custom logo, mascot, or art, and we will incorporate it into the plaque. 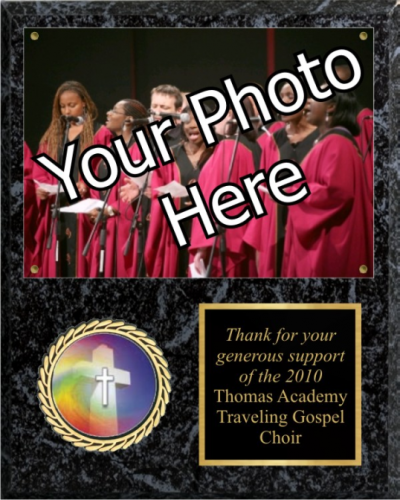 Valurite Insert Plaque 5" x 7"
Valurite Insert Plaque 6" x 8"
Valurite Insert Plaque 7" x 9"
Valurite Insert Plaque 8" x 10"